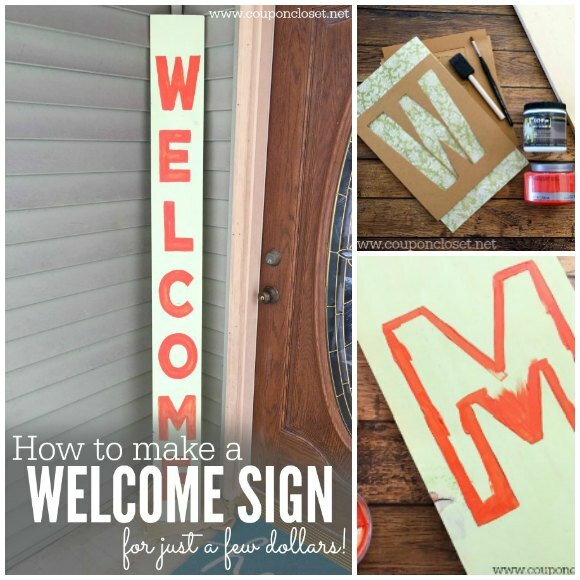 Today I’m showing you how to make this super frugal DIY WELCOME SIGN. 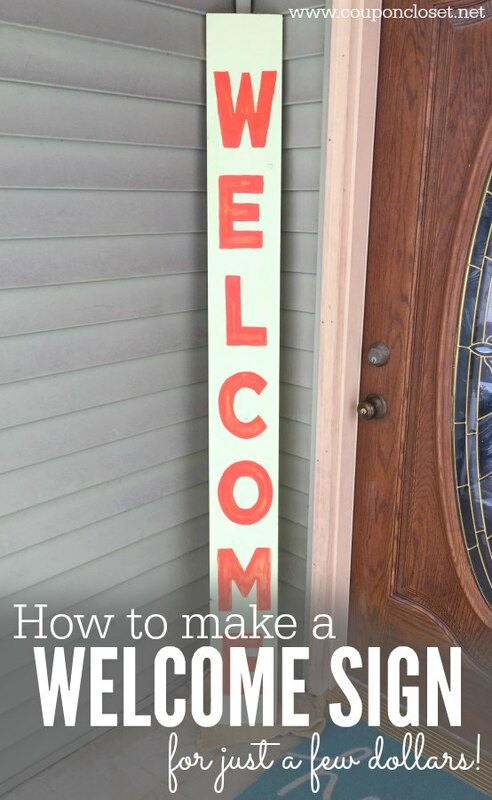 It is a great way to dress up your front porch without spending a ton of money. Right now we are getting read for fall decorating, so I know you will want to jazz up your front porch. 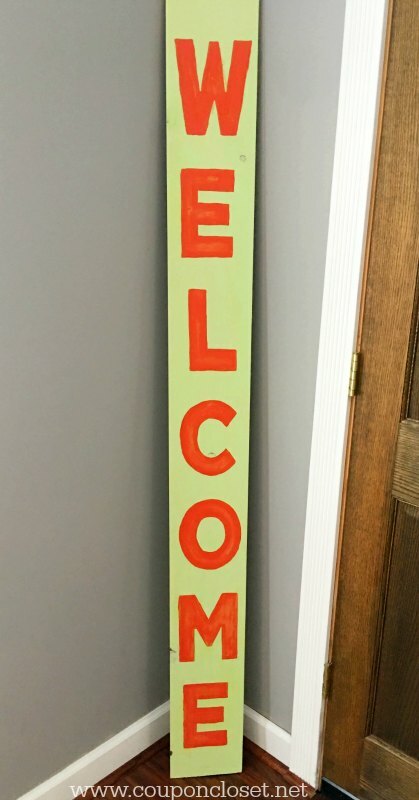 This is such a cute welcome banner to dress up your front door. Painting words on wood is alot easier than you think. 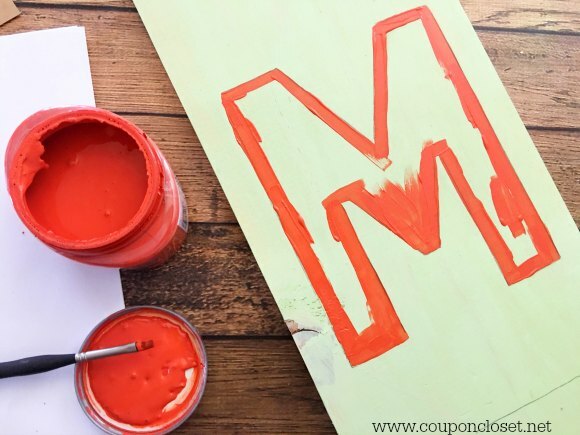 With this easy technique you will be a pro at painting words on wood and can make all kinds of adorable signs for your family. 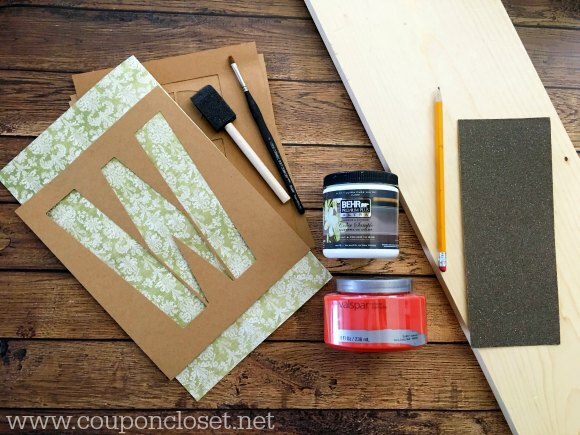 You can take this same easy technique and start painting quotes on wood to make more fun signs for your front porch or for around your house. I already had the wood, and the paint samples. I just had to pay for the sandpaper and the stencil. That means this easy project cost me less than $5 to make! Now you know that is easy and frugal. 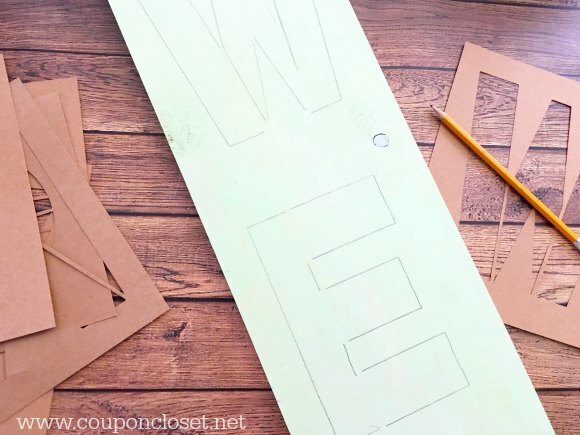 You can make this too! Learn how to make a DIY Blanket Ladder for a fraction of the cost of store bought.